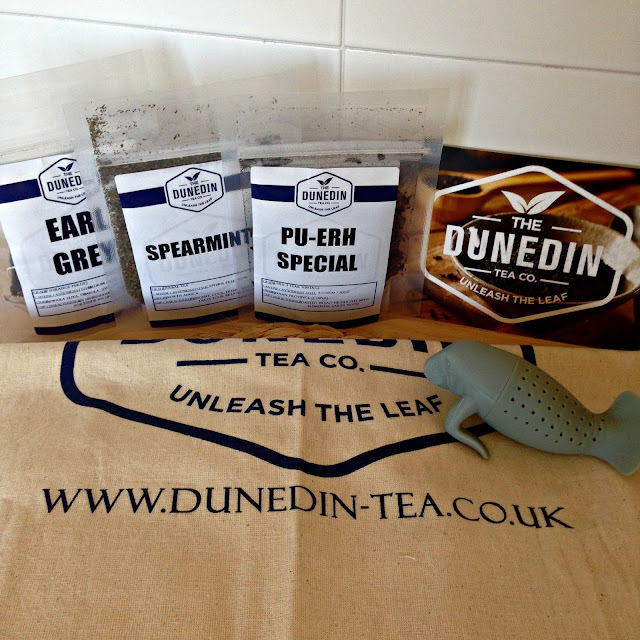 *When I saw Dunedin Tea Co tweeting about if anyone wanted to do reviews on their teas, being a real tea monster I tweeted them immediately. When they emailed me and said I could pick three of their teas to review, I was so excited and got straight on their website. After a good look around their website and reading about all the different teas they have on offer, I opted for the Earl Grey Tea Pyramids, Spearmint Loose Tea and Pu-erh 3 Year Vintage Loose Tea. As soon as I opened the packet of Earl Grey I knew they were a winner. A real strong Earl Grey aroma filled the air and I was excited for the kettle to boil! Once brewed I wasn't disappointed. A real Earl Grey taste, absolutely delicious! Usually I have a drop of milk in my Earl Grey, but these didn't need any. A perfect blend 10/10! Being a fan of Peppermint tea I was intrigued to try the Spearmint. The packet says it's 'cool, fresh, literally takes your breath away'. Slightly disappointed though. I mean there's absolutely nothing wrong with the taste at all and I think it's a very pleasant tea, but I found it only had a slight minty taste, which again is fine, but I found it disappointing as I thought because of the description, it was going to have a lot stronger minty taste to it. All that aside, I would purchase the Spearmint tea, as it has a lovely subtle taste to it. After playing it safe with the Earl Grey and Spearmint I thought I'd push myself into trying something completely new. 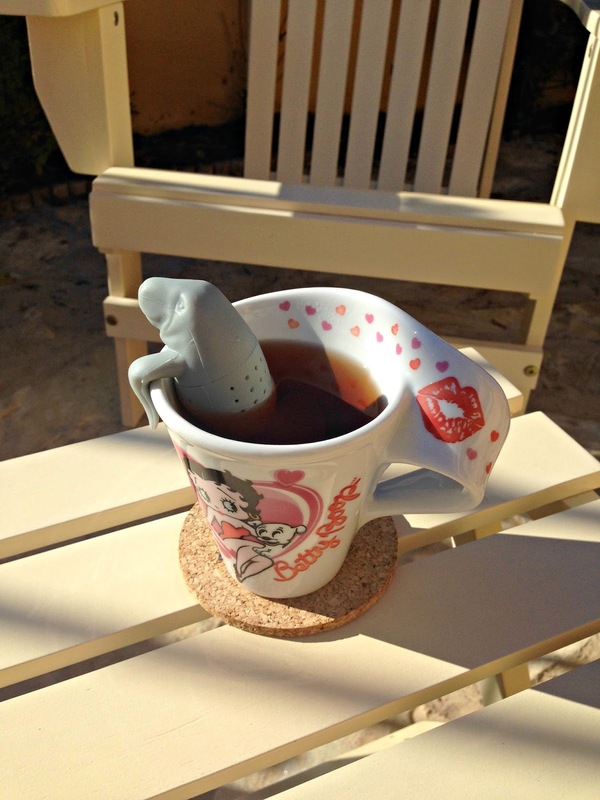 To be honest, I'm not a huge fan of fruity teas or ones with a perfumed type aroma. So after reading through them all I chose the Pu-erh Vintage. I chose this mainly because of all it's fantastic health benefits, which include weight loss, fights cancer, protects the kidneys and much more. So, if I'm completely honest my very first thoughts on the Pu-erh tea was it had a really earthy, organic aroma to it. I wasn't too sure. When I tried the tea, the taste wasn't as strong as the smell, but it did take a bit getting used to. I persevered and finished the cup. To be honest I wasn't overly sure about it. But, I couldn't stop thinking about the incredible health benefits this tea has to offer so, I did a little research on Pu-erh tea. (doing research I mean typing it into google and see what pops up!) It was all there in black and white, basically it is super good for you. The next day I tried another cup using sightly less leaves as I did previous and it was good. It still had the 'earthy organic' aroma to it, but it tasted a lot better the second time around. It's recommended to drink two cups of Pu-erh tea a day which I'm definitely going to give that a whirl! 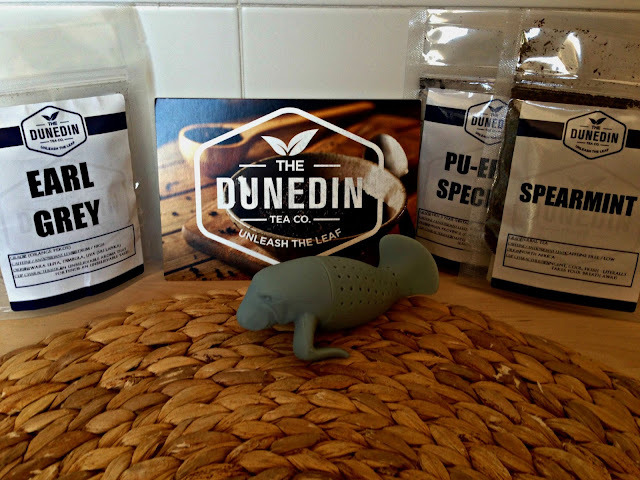 The lovely people at The Dunedin Tea Co also sent me the Fred Manatea Infuser which I absolutely love! Along with a fabric bag too! If you fancy trying some Dunedin Tea too check them out here and also use the code UNLEASH25 for a whopping 25% off! (valid until 29/02/16). Follow me on Bloglovin' never miss a post! You and your tea!!! 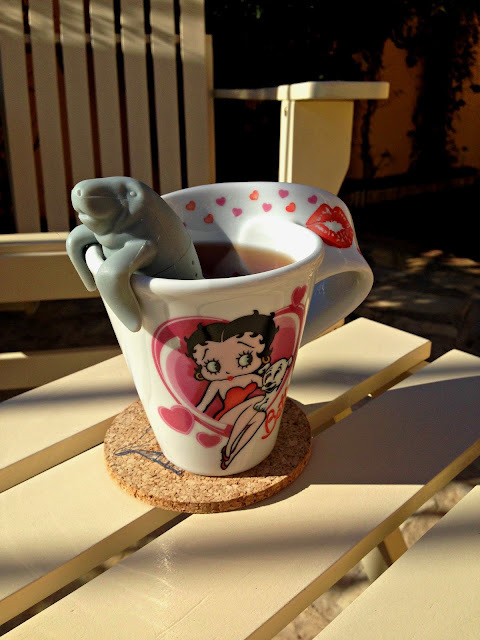 As you know I'm a tea girl but not your fruity, Earl Grey or any other flavour!! Mint always sounds nice but I just cant drink them, give me a regular cup any day but good on you for trying these and keep up with pu-erh!! !